For most people their home is their most valuable asset. It’s also where families are raised and memories made. Most cars, on the other hand, are terrible investments. They’re an expensive item that begins to depreciate the moment we purchase them. Yet most cars are taken to the shop every five thousand miles to get a new filter and oil, fluids and belts checked and tires rotated. The mechanic will usually suggest one or two additional items that we should consider, and we usually agree; we want the car to work when we turn the key. Most houses on the other hand never get preventive maintenance. Over the years things break and are maybe noticed and maybe not, maybe get fixed and maybe not. If we all followed a home maintenance routine not only would our homes function better but we could avoid many costly repairs; an ounce of prevention is worth a pound of cure. When is the best time for maintenance? 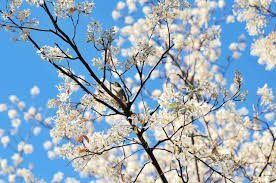 I like to inspect and perform home maintenance on my home in the Spring and Fall. Where I live in Florida it has as much to do with the weather as anything else. If you live in a northern climate it might make more sense to wait for early summer and late fall so you can combine maintenance with winterizing your home. The point is that it doesn’t matter when you do it, it only matters that you do it. I also keep records in my home maintenance journal of what I’ve done and when. That way I remember areas that needed repairs and when they were performed. Changing all the batteries in your smoke detectors at once can be expensive. Testing your smoke detectors is free and this should be done biannually. Smoke detectors have a service life expectancy of ten years. 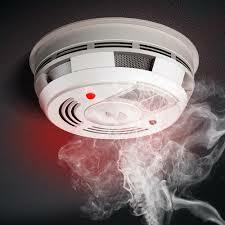 Ideally smoke detectors should be wired together so that if one begins to sound the alarm, they all begin to warn occupants at different locations in the house. When you test a smoke detector, hold the test button down long enough to hear the other units begin to sound. I’ve found that when I test them this way there are often several that will begin to chirp. This is from batteries that were low on power before the test. Replace these batteries, retest these units and your smoke detectors should be set to protect you and the other people in your home for another six months. If any smoke detectors aren’t working or if your smoke detectors are more than ten years old or aren’t wired together, consider having an electrician install and wire together new units. You don’t have to be an electrician to inspect your electrical system. Loose wires, overheated and malfunctioning breakers and outlets can all be dangerous. Most homes are equipped with ground fault circuit protection on the exterior, in the garage and in all wet rooms. You’ll recognize these outlets by their test and reset buttons on their fronts. These outlets may also be protecting other downstream outlets on their circuit. These should all be tested twice a year. To do that you can buy an electrical tester at any home and garden shop for fewer than ten dollars that will give you an accurate depiction of the condition of your system. Any deficiencies in the system should be repaired or replaced by a licensed electrician. The filter in your air handler works whenever the unit is circulating air. It helps to keep your inside air clean of dirt, dust and pollen. You’ll want to change this filter regularly. Follow the manufacturer’s recommendation and tailor them to fit your personal situation; change the filter more often if you have pets or anyone in the home with respiratory issues or allergies. Clean out the condensate drain during biannual maintenance. 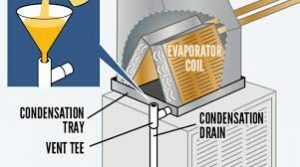 The condensate drain moves condensation from the air handler to a point outside of the house. It has a tendency to clog. Pour a quart of bleach into the drain at the air handler and follow this a few minutes later by a gallon of warm water. This should keep the pipe open and allow the water to flow unimpeded. The outside half of your split system heat pump is the condenser. It has a fan at the top that pulls air across its coils to cool them. Bushes and trees can restrict this air flow making the machine work much harder than it should. 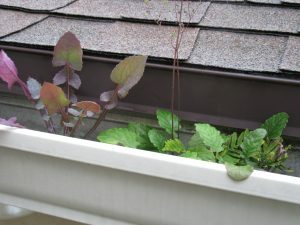 Prune this vegetation away from the condenser. Ideally you would like three feet of open space in all directions around the unit. Lastly, have the entire system professionally maintained twice a year. This gives it the best chance for a long service life. 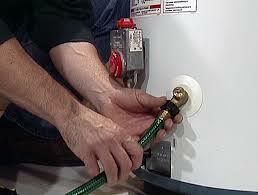 Your conventional water heater also needs maintenance. Sediment can build up in the tank causing the plumbing to clog and the tank to malfunction and can significantly shorten the life of the system. Flushing out the tank is easy and should be done twice a year. Start by turning off the power supply to the water heater. Next, run the hot water in a bathtub or kitchen sink for at least 10 minutes. This will reduce the temperature and the pressure in the hot water tank. Next, turn off the supply water valve at the tank; you won’t want to be filling and flushing the tank at the same time. Then attach a hose to the drain valve at the bottom of the tank and open the valve. Ideally you’ll be able to drain the tank into a plumbing drain. It one isn’t available, avoid draining the tank on any vegetation; the water in the tank may still be hot enough to kill it. Lastly, remove the hose, close the drain valve, open the water valve to fill the tank and turn on the unit. If you’re using your fireplace often, have your chimney cleaned annually by a certified chimney sweep. This will remove soot and built-up creosote from the chimney liner, firebox, smoke chamber and damper. 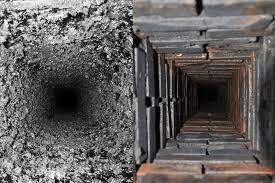 Creosote is a highly flammable material that builds up inside of your chimney as a result of burning wood. 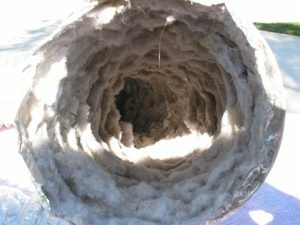 If not cleaned regularly dryer vent ducts can become clogged with lint. Flexible aluminum ducts that are only meant as transition ducts between the dryer and main duct are often times used incorrectly. 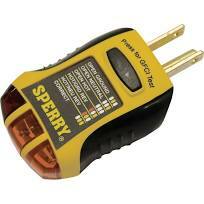 These are very susceptible to clogging, especially if they have multiple turns on their way out of your home. Clogged dryer vent ducts are a significant risk hazard. Insure that your house is installed with the proper dryer duct and have it cleaned yearly. Exterior caulk here in Florida takes a beating from the heat and rain. It has a service life expectancy of only one to three years. 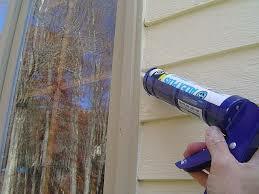 If the caulk has cracked or shrunk by windows and doors it provides a pathway for water to infiltrate the home. This water will often get into the space between the interior and the exterior walls where it will cause wood decay and mold. Inspect the caulk around your windows and doors every six months and re-caulk as needed. Check for cracks in your siding where water can penetrate behind the walls. This is especially true if you have stucco siding as many people here in Florida do. Fill any cracks you see when they’re still small. If you wait, water will find its way in and can cause wood decay and mold. Be very proactive to keep the material behind the stucco dry. 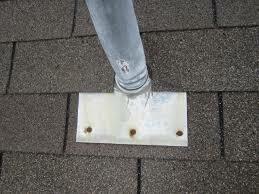 Your roof is another area where sealant is used. Roofing cement is applied to seal nails in attic vents and shingles and to glue shingles down in some areas. It also has a limited service life expectancy and generally will not last as long as the roof covering. Inspect the sealant, flashing, vents and shingles for damage at least once a year. In your attic, checks for exhaust ductwork that have come apart at the seams or that have fallen from the exit vent and are now exhausting in the attic. This is the type of problem that most people never know exists because they never go into their attic. A bathroom exhaust fan that vents into the attic can cause moisture damage to the truss system and room sheathing and can create conditions conducive to mold. 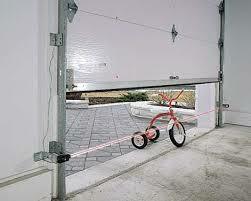 Garage doors exert tremendous force when they’re closing. The auto reverse features should be inspected and tested at least twice a year. To do this, push the button to close the door. While the door is closing pass your foot past the light beam sensor at the bottom of the door; the door should auto reverse and open. If it doesn’t, first make sure that the sensors have power, are clean and are properly aligned with each other. If they are and the door still doesn’t auto reverse when tested then this system should be further inspected by a professional garage door company. Next check that the door will reverse when it strikes an object. Lay a piece of 2×4 lumber flat on the ground where the door strikes the pavement. When the door hits the lumber it should automatically reverse and open. This simulates the door striking a person. If the door doesn’t auto reverse and open, it should be evaluated and adjusted by a professional garage door company. Lastly inspect the springs or chain for damage and lubricate all moving metal parts per the manufacture’s recommendation. Clean and inspect gutters and downspouts for damage. Insure that the gutters are free from debris and that the downspouts are still sufficiently moving water away from your home. Water pooling at the foundation can cause serious damage. Inspect your irrigation system and make sure all heads are raising up high enough to function as you intend them to. Make sure none of the sprinklers are spraying your house. This is a leading cause of structural water damage and it’s so easy to avoid. It’s a good chance that unless you have registered a product that you won’t be notified if it has been recalled. Be proactive and check all appliances for recalls at www.cpsc.gov every six months. A quick glance at this site shows several items recalled because of fire and impact safety concerns. If you own a product under recall, follow the manufacturer’s instructions to have it repaired or replaced. Home maintenance and inspection of the critical components of your home should be done consistently to keep your home in top shape. Most home owners can do these things themselves in an afternoon. Schedule with a professional the stuff that you don’t want to do or can’t do. The houses that we inspect that follow a maintenance plan stand out clearly from the ones that don’t. Just like with your car, an ounce of prevention is worth a pound of cure.